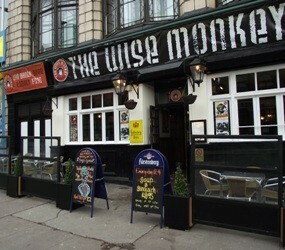 A RENDITION of Rod Stewart’s classic ‘Maggie May’ will surely be heard on Thursday 21 July when popular music bar The Wise Monkey presents an evening of acoustic music on Thursday 21 July – to raise funds for Maggie’s Cancer Caring Centres the night before Maggie’s annual Glasgow Night Hike. Performing at the special event are Pookah, Looking for Lola, Natalie Clarke, J.F.K., Declan Hegarty, Craig Ralston and Callum Rae. Starting at 7.30pm, the Glasgow Night Hike on Friday 22 July is a 10 mile festival on foot taking volunteers through a unique night-time journey of Glasgow with exclusive access to some of the best and most well loved buildings.